Fig. 4. Range of Spanish Empire and Colonial Possessions to the 20th century. Areas in blue were jointly held as the Iberian Union from 1581-1640, during the period of Spanish hegemony over Portugal. 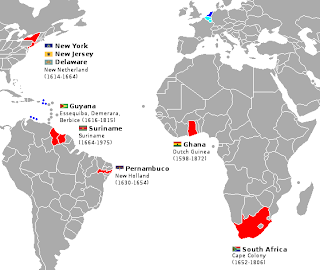 The development of Atlantic slavery arose from a system of empires formed around the nation-state. The rise of the Ottoman Empire in the Eastern Mediterrranean and Western Asia after 1453 spurred the European kingdoms and states to form empires for exploration and conquest of the Atlantic. 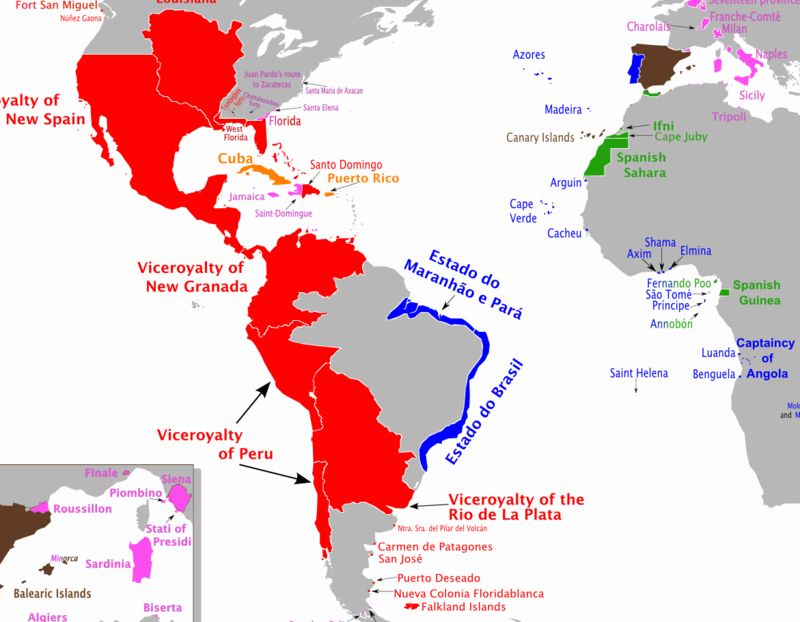 The first two national kingdoms to seek the development of an ocean based empire were the Portuguese and the Castilians, who by the early 16th century would come to be known as the Spanish Empire. 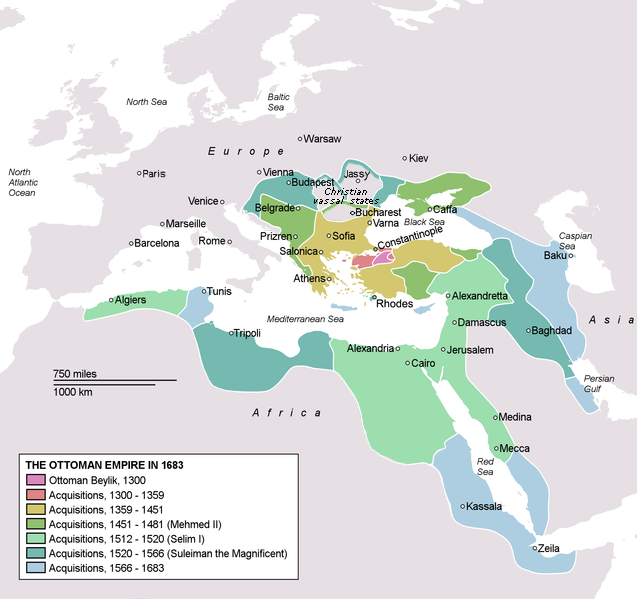 What features and elements of empire formation, exploitation and also compromise are represented on this map? 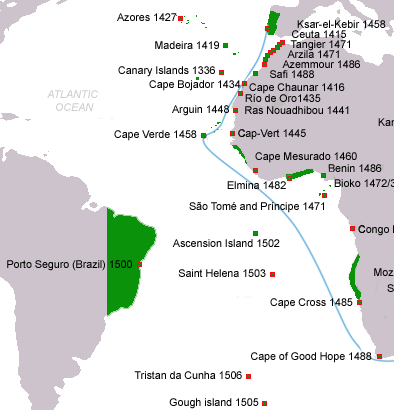 Note also the features of the African coast. Note the depiction of a castle structure along the West African coast in the Gold Coast region (contemporary Ghana or the Ivory Coast). In what ways is this a representation of the Portuguese power and an already racialized depicition of the slave trade?